For over half a century, family-owned Keller Brothers, Inc. has been providing community based quality construction services throughout Maryland, Washington D.C. and Virginia. From pre-construction and general contracting to interior renovation and design build, we consistently deliver—meeting project specifications, budgets, and timelines while exceeding expectations. A tradition of integrity and diligence combined with the personalized team approach we bring to each project has earned us the trust and loyalty of our clients. We invite you to view our portfolio for a sample of our diverse projects, including office buildings, banks, recreational facilities, public and private schools, and churches. 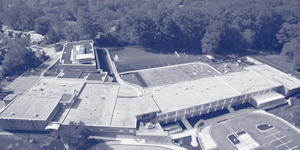 Keller Brothers has a long history and understanding of working with schools. We understand the importance of completing projects on time to be ready for students and teachers. We have helped many clients successfully overcome the challenges of occupied construction. Keller is accustomed to completing construction and maintaining a safe site while the building occupants are still able to teach and learn. Keller Brothers focus is community enhancement. We work with local governments on various projects including fire stations, police stations, libraries, and community centers. Keller understands the impact these projects have on communities and the need to have them completed on time and within budget. Keller Brothers works closely with owners and has a deep understanding of their ever changing needs. Our experienced project management teams foster professional and lasting relationships with our owners, subcontractors, and designers. We provide onsite supervision for all our projects which enables us to control subcontractor scopes, scheduling, costs, and other aspects of the project.